You’ll be surprised at the answers. 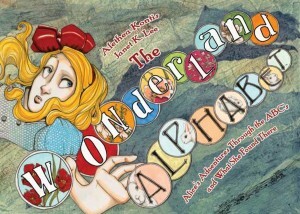 I’m honored today to be a guest on Mary’s blog, speaking about “My Favorite Bit” of The Wonderland Alphabet: Alice’s Adventures Through the ABCs and What She Found There . Is my favorite bit the same as yours? I bet it isn’t. Click here to read my fabulous essay and find out! This entry was written by Princess Alethea and posted on June 19, 2012 at 11:34 am and filed under Books, Essays, Friends, New Things, Poetry. Bookmark the permalink. Follow any comments here with the RSS feed for this post.